With the introduction of e-Conveyancing, Conveyancers must now retain a copy of all supporting evidence for 7 years. The Registrar-General of the Lands Titles Office audits Conveyancing Firms to ensure that evidence is retained. We at Tuckfields, for many years, have used The Information Management Group (TIMG) as our storage facility provider. Their service is convenient, easy to use, and very secure. They are the front-runners for information management across Australia, and its clear why. TIMG solve information management problems daily for thousands of businesses, large and small, in every major industry across Australia and New Zealand. They make our working lives here at Tuckfields far more organised and efficient with their solutions that work for us across the board. Their Verification of Identity (VOI) storage is flawless; it is a simple system that allows for 24/7 access with complete protection, keeping our client’s identities safeguarded at all times. They also assist us with the storage and transformation of our physical files into digital formats for ease of access and ensuring the defense of our product and information. After speaking with Jason Biggin, Customer Service Manager of TIMG, it leaves no doubt in our minds why TIMG are our first choice when it comes to storing our company, and client’s information. As leading service providers, with systems in place for all circumstances and the ability to set the standard in their industry, we know TIMG are the right partners for us. 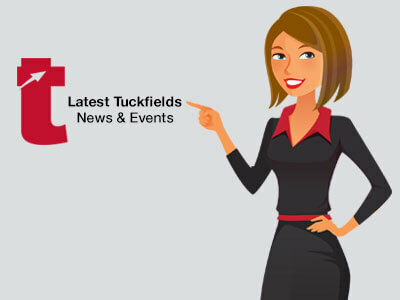 Contact Tuckfields today for more information about our services.